Part B chemical Biflex Aquamax is being applied to the perimeter of the building before concreting. In Part B of termites protection and treatment, additional chemical and/or physical products will be used around the perimeter of the house at varying stages during the building process. This job is done by Best Termites Control. For more information about Pre-Contsruction termites protection and treatment, please click here. 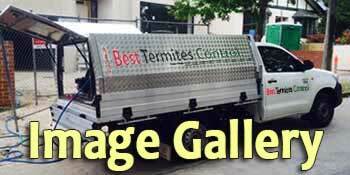 Best Termites Control company provides professional termites protection and treatment jobs (e.g. Part A and Part B termites treatments) for new constructions and buildings (residential and commercial) in Melbourne and all suburnbs including Dandenong, Doncaster, Glen Waverley and Rowville. If you need more details or want a termite treatment cost estimate and quote, please contact us here or call free on 1800 780 820.